Physician | New York, NY - Jessica Allan, M.D. Jessica Allan, M.D. 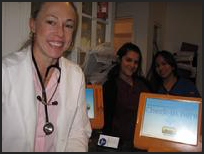 practices internal medicine for a wide spectrum of patients in Manhattan, New York. As our head physician, Dr. Allan is FACP and ABIM twice board-certified, and is able to practices both office and telemedicine. When you come to our clinic, you'll work with a dedicated internist and medical team who provide patient-centered care. Jessica Allan MD is an attending physician with admitting privileges at NYU Langone and the Mt. Sinai West Hospital. 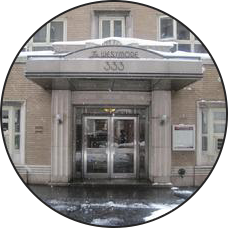 We are also conveniently located near the Time Warner Center, Lincoln Center, Mount Sinai West (formerly Roosevelt Hospital), and all forms of transportation. Since opening the practice in 2001, patients have praised how personable our staff is. The medical team will guide you today's complex medical system. For example: referrals, prior authorizations, pre-op clearances. Learn More About Jessica Allan, M.D. If you're looking for a new doctor who accepts several insurance plans and treats you like family, schedule an appointment with Jessica Allan, M.D. Morning appointments are generally for drawing blood from fasting patients, B12 shots, and dealing with forms and letters. Dr. Allan also performs preventative physicals and other basic follow ups. Dr. Allan is certified to prescribe suboxone and medical marijuana.